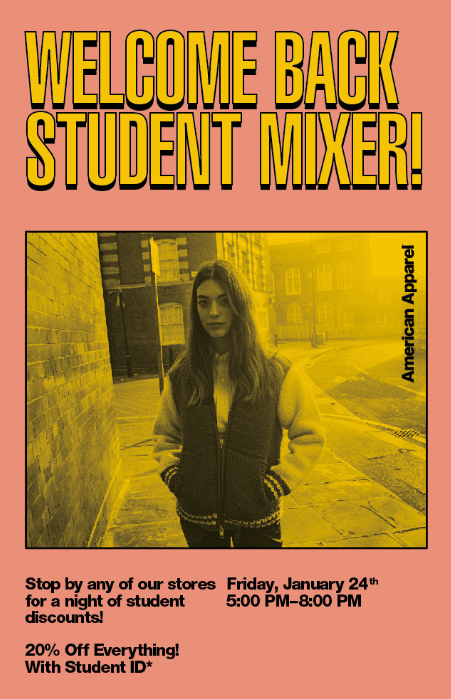 American Apparel wants you to mix it up on Friday night! Stop by any American Apparel location from 5:00PM-8:00PM with a valid college ID, and receive 20% off your total purchase! American Apparel has some great stuff out right now, (like this Jacket) especially for spring and summer, which I am highly anticipating. I’ll be popping into the American Apparel in Wicker Park, so hopefully I’ll see you there!